GATES OPEN 9:00-4:00 Saturday and Sunday Dec. 8,9 and 15,16! At Pioneer Tree Farm we raise our trees organically, and use no pesticides as we contend with weeds and other tree pests. (Occasionally we do treat some invasive hardwood species with an herbicide). Our motivation is love of nature -- trees, wildlife, weather, the land -- and what we sell is an experience along with your Christmas tree. This year we will be open 9:00 a.m. to 4:00 p.m. Friday after Thanksgiving day, and Saturdays and Sundays through Sunday December 16th. Dogs OK on leash, not in buildings. Our trees are organically grown and pruned by hand. 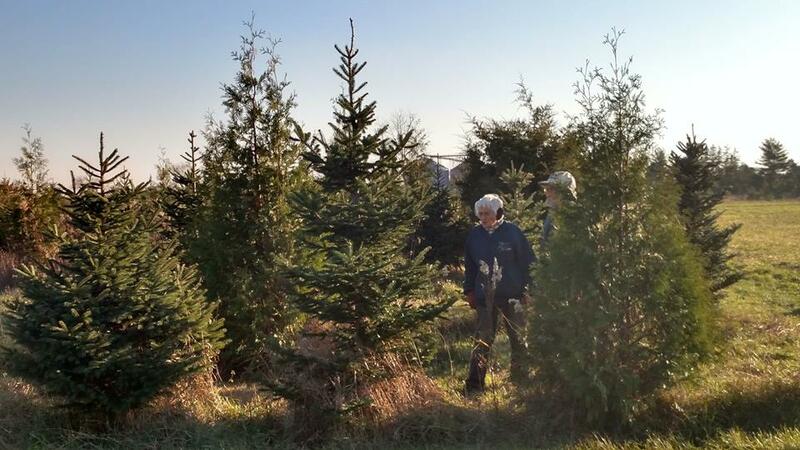 Ten percent of tree sales is donated to the Environmental Defenders of McHenry County, and most of the workers are volunteers from the Defenders. 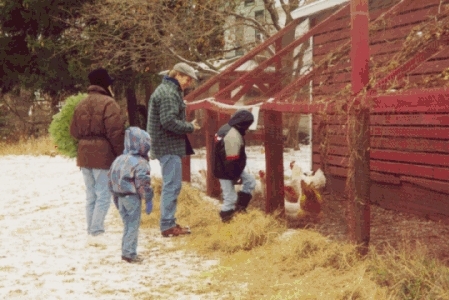 Wagon rides to and from the pines, tree shaking and baling, and hot coffee and cocoa in the warming house are included at no extra charge. Hand saws are also provided, or bring your own (no chain saws or axes, please). 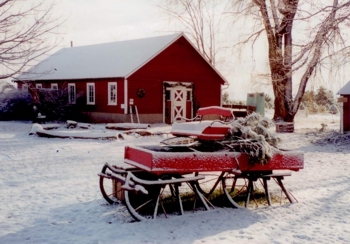 Handcrafted holiday items are available for sale in the warming house. If you bring your dog, please keep it on a leash while you are here, and do not bring it into the Warming House. 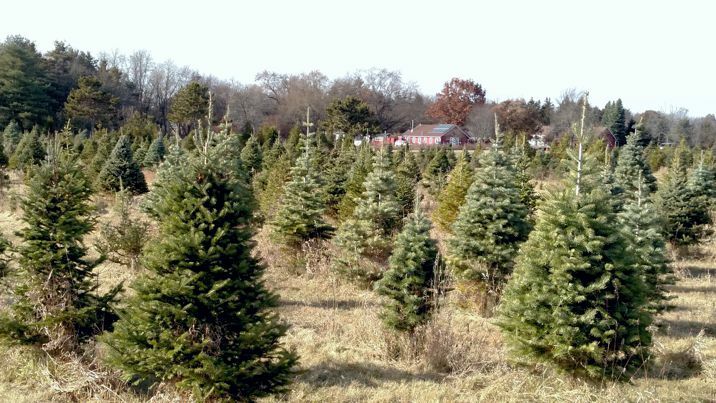 Whether or not you've cut your own Christmas tree before, we recommend you read Tips for Cutting Your Own Tree. You might like to print out our map to Pioneer Tree Farm (which also has pertinent information). Google Maps will give you driving directions.